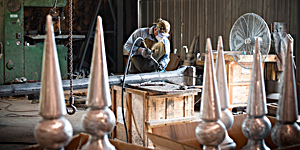 Talladega Foundry and Machine Company Inc. has been providing quality castings with a commitment to service since 1909. Our patterns are crafted using the latest technology in wood, plastic, and aluminum. The development of patterns for the casting process begins with the drawings and specifications provided by the customer or from our in house engineering department and is then hand crafted in detail. Talladega Foundry and Machine produces both gray and ductile iron using two BBC IT-6P induction furnaces. 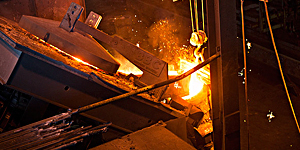 Our Brown Boveri Coreless Induction Furnaces supply our foundry with more than thirty (30) tons per shift. We also have furnaces for melting aluminum. 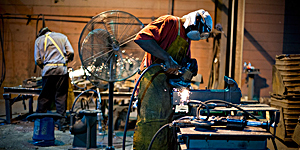 Talladega Foundry and Machine Co., Inc. offers complete machining services. 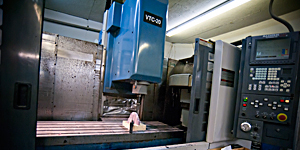 Our machining division renders design and engineering services combined with plating, assembling, and fabrication. Let Talladega Foundry & Machine Co., Inc. best serve your needs! Talladega Foundry & Machine Co., Inc.